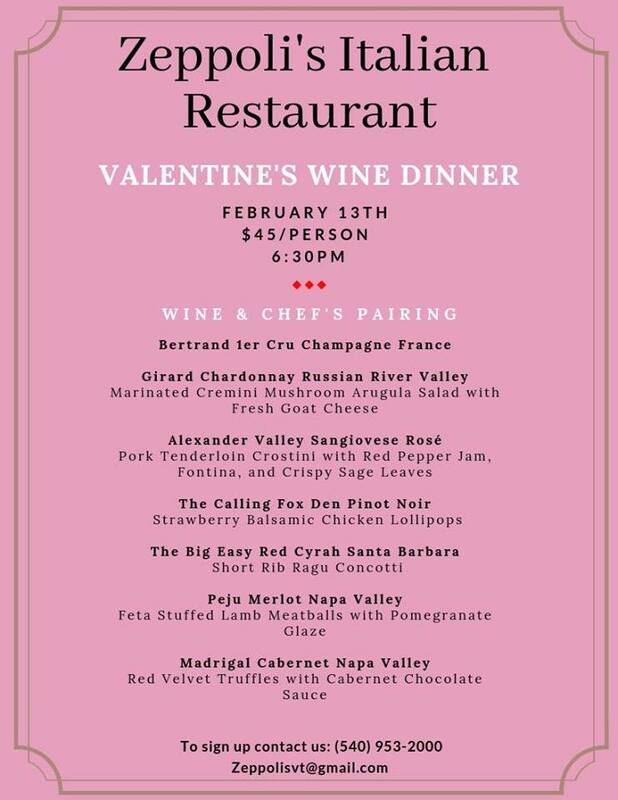 Zeppoli's presents their 2019 Valentine's Wine Dinner on Wednesday, February 13, 2019. Join us for a romantic evening! Our guest speaker will be Ryan Keaton. We will also have fruit and cheese plates for each table. The cost is $45.00 per person. To view the event flyer, visit: https://i.imgur.com/ekg3bIm.jpg.